We’re all internet marketers here, right? As internet marketing professionals, we can probably agree that we a) have to juggle many more things than regular professionals (say, accountants), plus b) many of us work for ourselves, so we have that extra layer of having to be disciplined and to self-manage. Right now I’m going to outline the potential pitfalls of the internet marketing life, and how you can address each so that you can achieve the breakthrough in your business that you desire. Whether that goal is to get 10 more clients this year or it’s a more concrete financial goal (like $10,000 / month), there are several (actually 7) habits that are probably getting in your way. Here they are, in order of their potential to hold you back. Let me outline a scenario that everyone in internet marketing in any capacity has been through before. You pay money (sometimes big money!) for a plugin, piece of software, or educational system that you KNOW is the one, the one that is going to finally get you over the internet marketing hump (or at least, that is what the guy on the webinar said and you believed him because of his INCREDIBLE RESULTS). Finally, you are going to be able to quit your day job, or make that monthly income goal you’ve been striving for, or give you that “aha!” moment where everything falls into place. You know there is a bunch of other stuff just like this that you’ve paid for and haven’t even tried, but you have a strong feeling. You NEED THIS THING. You throw caution to the wind and buy it. This is going to be the one that changes everything! You get your login information. You log in and start watching the first video, or download the plugin / install it / start playing with it, and so on. You stick with this for a few days, and if you don’t get the “INSTANT RANKINGS AND INCOME” that were touted in the sales letter (or webinar), your confidence starts to erode, and the questions creep in. What if this system doesn’t work? Is it just you? Are you doing it wrong? Why is it taking so much longer to see results than the guru said? And the cycle starts over from the beginning. As internet marketers, we are constantly barraged with “experts” claiming they have cracked the code to success, and we are required to balance this distracting temptation with the actual need to stay updated with current tech updates and techniques, so we can’t actually just unsubscribe to everything or go on “Internet Blackout,” much as we know this would probably help. Right then it became abundantly clear that the majority of the people who paid big money for this program had not even watched the introductory videos. That is a big problem, because statistically that means most of those people are never going to make it to the actual good strategies, so they will have paid the big bucks, but they are not going to get the big results. What to do? Here are a couple of things I’ve found to be helpful in solving this “Shiny Object Syndrome” problem. – Ignore What You Can. Chances are you are on more than one mailing list that you just got on to get a free plugin or report. Personally, I get, without exaggeration, 57 emails every single morning, each one of them an offer for a different BRAND NEW PRODUCT, a newsletter, or plugin, or some other thing. I erase most of them. Lately I have been making an effort to unsubscribe and this seems to be helping. – Pick Something & Stick With it. I know, this one is the hardest. We want instant results (rankings, money, fame, whatever), but the fact is, there is no such thing as a “magic button” you can push that is going to make money shoot out of your computer. This is one place where every successful person agrees – you MUST pick something (whether it’s client consulting, selling stuff on Amazon, email marketing, Facebook advertising, video marketing, or whatever else interests you) and work on it until you master it. Then build from there. – Block Off Some “Nothing Else Time.” What’s it going to take for you to put a few hours aside each today to really focus deeply on your business? It is very difficult to get a chunk of time to focus on one thing these days (like, without your phone or the internet in general) unless you make it that way. Personally, in order for me to really focus in on something, I have to sit in the back of my car for a couple of hours with no internet and my phone out of my reach. You think I am joking, but I am not joking. I am writing this from the backseat of my car in the parking lot of a coffee shop, following a client meeting. As it turns out, the coffee shop is not a great place to have deep thoughts or do client follow up or writing of any kind. The bottom line: decide what you need to get done, then set aside a chunk of time every day to do nothing but that. You are not going to get to where you want to be in your business / your life if you can’t put your focused attention on your goals and what it takes to attain them. Also, I want to just be clear: I’m not saying you shouldn’t be learning and trying new things. I’m simply saying that if you try to do 30 programs at the same time, you are going to do all of them poorly. I have to admit, this is one I still work on almost every day. As internet marketers, some of whom have multiple clients as well as hundreds of sites in our PBNs, we often need to access multiple logins (like for hosting, registrars, WordPress installations, social media, reporting software, website services like SERPed.net and Network Crusader, affiliate platforms, different email accounts, and so on, and so on. Multiply that by searching for each username / password every time, and you have the equivalent of a whole wasted day or two each week. If you’re having this problem with your PBNs, Network Crusader is a great way to go. You also should probably invest in a paper book to hold all of your passwords (I have this one), and / or use a password generation and storage service like Dashlane or LastPass. Another solution is to make a Word document that is specific to things you use a lot, like “Hosting Logins” or “Affiliate Website Logins.” This will at least shorten the hunt and lower the chances you’ll get distracted and start something else and / or forget what you were doing. I know you know what I’m about to say here. Social media is one of those “necessary evils” for internet marketing types – we have to use it enough to know about it (and to network / interact with people and groups we’re in), but unless you are super strict with yourself, a simple “I’m going on social media to share something / look something up” becomes a lost hour looking at people’s baby photos and clicking “Like” on people’s activities. Oh, and debating about politics and religion, which, as we all know, is a great use of time and is always 100% effective. When it goes off, GET OFF OF SOCIAL MEDIA. Seriously. I took a poll about this (on Facebook of course), and I got several helpful suggestions, ranging from “I don’t go on Facebook at all on Fridays” to “I use Harvest to track my time management and guilt me into spending less time on social media.” However you do it, you should definitely make this a priority, because unproductive social media time is time you could be spending building your empire. This one relates to “Shiny Object Syndrome” somewhat, but has more to do with great ideas you have as you are working on your own projects (or on projects for clients). As entrepreneurs and internet marketers, we are naturally inclined to have a lot of ideas, some of which are bound to be good ones. The problem is starting a new idea / project before you have completed the one you started last week, then repeating this cycle every week. Starting things and not finishing them is not just bad for business – it is actually bad for your brain, because it re-wires your neurons to be “sprinters” rather than the “marathon runners” you will need to really dig in and finish something. 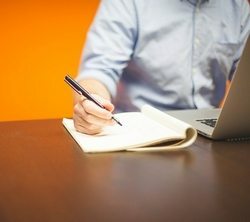 Keep “new ideas” notebook or Word file on your computer, or note in your phone. If you have a great idea, stop only briefly to write it down. DO NOT buy a domain / reach out to a business partner, or write the whole idea up and start on it the minute you have it. You’re going to have many great ideas over your lifetime, but if you don’t finish any of them, you’re never going to know what is successful, plus you’re going to be frustrated with your lack of results. Notice how I keep saying that? This issue is actually a combination of two of the others – the one where new things continually catch your attention, thereby pulling you away from what you’re trying to focus on (and encouraging your brain to keep doing this), plus falling down the social media rabbit hole. Use Harvest to see how you’re spending your time, plus try a time management system like Focus or Pomodoro to start training your brain to concentrate for longer periods of time. Also, when someone tries to “pick your brain,” be sure to limit the conversation down to no longer than 30 minutes (after which you can respectfully tell them that you are a professional and if they would like a proposal from you, you are happy to submit one). One more thing about “brain picking”: if you find you are answering questions that would probably be relevant to multiple people (or bring in more business for you), save your email response / the questions themselves, then write your answers into a blog post, record a video, or put on a webinar. There must be a way to repurpose that “free advice” time, and you should find it! Sometimes (and, more often than not in internet marketing / SEO) things take time, and during that time, it is all too easy to get involved / sucked in with something totally unrelated (or time-wasting). Here’s an example: you change a client’s DNS over, and you’re waiting for it to propagate. You don’t know whether it’s going to take 10 minutes or 10 hours, but you need to be ready when it goes live. You are now stuck in the “Ambiguous Zone,” where you can’t quite start another project, but you can’t just sit there or you will be wasting time. Here is my proposed solution for this: make a list of things that won’t take that long (like “check Network Crusader to make sure my network is healthy” or “write one blog post” or “update WordPress installation / plugins on one site”). Do one or more of these during the downtime you have while you are waiting for something to happen. Keep another list for multiple part projects, and break down those parts so you can check those off, then go back to them. 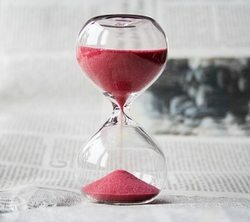 Keep ANOTHER list for projects requiring long waiting periods, like getting brand new sites to rank, building websites / waiting for feedback, waiting for clients to get you things, etc. 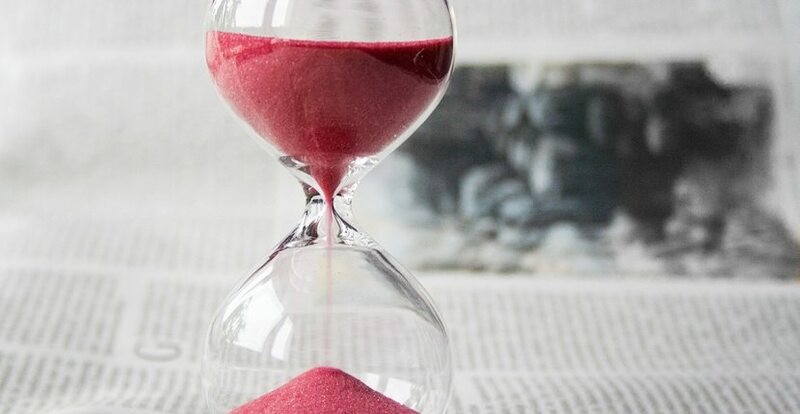 Some tools to help with this include Cozi, ToDoIst, and Wunderlist, which you could then combine with one of the time management systems mentioned in #5. This is when you’re working, but stopping every time a text comes in, or a notification / message from Facebook pops up, or you get a new email. Every single time you do this, you are not only interrupting your own flow (which means you are getting further away from a breakthrough in any one area), but you are also training your brain to respond to distractions, literally making your attention span get worse and worse. Turn off some of your notifications, or at least close some of your browser windows, log out of iChat, and put your phone somewhere other than right next to you. I know we all need to be connected at all times, but this kind of thing is getting ridiculous. There is no way you can do 30 things at once, so you don’t need 30 notifications every hour distracting you from what you’re actually doing. If you’ve already broken your brain with too many years of distraction, get a meditation app to help you start building your focus back up. What about you? Do you struggle with any (or all) of these problems, or do you have another one? We would love to hear what you have used to get you over these hurdles.